All about that electrifying colour? Make a statement with a blue guaranteed to cause a buzz, or create a dreamy pastel shade by mixing with the in-pack conditioner! Always a 5, never had any problems and all colours always come out exactly how advertised. Whether i'm using the Absolute platinum then one of the XXL Live colours such as Pink, Purple or Blue or whether i'm staying dark Cosmic Blue for winter I've never had any problems. Never ruins my hair like many other products can. Will continue to use all colours and always recommend whenever anyone asks about my hair. Response from Schwarzkopf LIVE: Loving the look, Aimee - and lovely to hear your great feedback! Love the electric blue I'm your shocking pink at the moment but want to go back to my favorite electric blue,I don't think it will just go over the pink lol. Always vibrant, shiny, long lasting colour. The colours mix together to create a perfect ombre. One of the best blue colours I’ve ever used. Always use your products on my hair and always please. Wanted blue and got blue. Thank you for a great product 5* service. Always a good result! Long lasting too. As a boy with short hair I absolutely loved this colour. 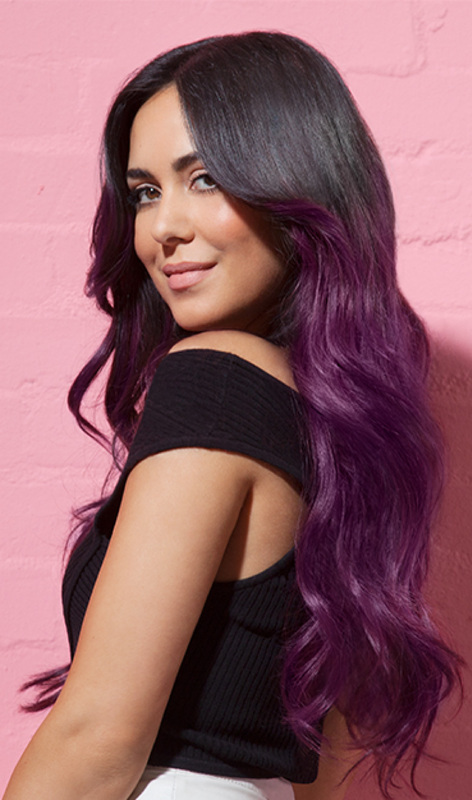 It could not have given me a better result, I will be trying this colour in the future. I applied this to pre-lightened hair and I got amazing and vibrant results. I did a review of this product on my Youtube channel 'NicoVsWorld' and I cannot recommend this blue enough. Response from Schwarzkopf LIVE: Thanks for your great feedback, Nico! As a boy I always found it more difficult to judge how certain colours would look on me and my short hair. The electric blue has been my favourite fashion colour that I have tried, it is such a nice colour and I will definitely be doing it again in the future. I applied this to pre-lightened hair and I got an amazing and vibrant result. I could not recommend this blue more! Response from Schwarzkopf LIVE: Wonderful to hear, Lisa! Amazing colour I love it. Will be keeping it for a long time. Response from Schwarzkopf LIVE: Thanks very much for the review, Jasmine! Best brand, so reliable, have been using for years! Response from Schwarzkopf LIVE: Great to hear - thanks for the review, Darien! Response from Schwarzkopf LIVE: Thanks very much for the review, Shelley! Response from Schwarzkopf LIVE: Hi Jenny, thanks for stopping by. To get the best results with LIVE Electric Blue, your hair will need to be a light blonde, otherwise you are still unlikely to see the results you hope for. We'd love to help you achieve the colour you're after, so if you give our Advisory team a quick call on 0800 328 9214, an advisor will be happy to talk through the steps with you. Fantastic colour, absolutely love it! Response from Schwarzkopf LIVE: Great to hear that Lauren, thanks so much for the review! Response from Schwarzkopf LIVE: Loving the multicolour look Lisa, thanks for the feedback!